Something about a new year energizes me for reading. With all that we had going on last year, reading and homeschooling sort of fell to the back burner. Now we are ready to dive back into books. I love cuddling up with my babies and reading a good story in our homeschool preschool! Hopefully you can find some inspiration with our preschool book list. This preschool reading list is ideal for 4-5 year olds. Our latest library haul minus a Disney Cars reader that Bug picked out. I let them choose some “fun” books, too! This particular reading list is geared for my four-year-old, but my other kids do listen in. My two-year-old sometimes really enjoys the stories, too! Most of our books will be checked out from the library, but I am buying some that I think will make wonderful additions to our home library. Our ever-changing kids’ bookshelf. Their books are mostly stored in their room, but we put books we are reading more frequently in the living room. The books above will be checked out from our library! We will continue reading through The Complete Tales of Winnie the Pooh, as well as our Little Boys Bible Storybook. We have several books in our collection that we keep going back to. My kids love a few Dr. Seuss books in particular, so they are always pulling a book off of one of our shelves! I just put in an order for some children’s books that I feel will make an awesome addition to our home library. Pretty much all of these titles came from Ambleside Online or Simply Charlotte Mason. I’m a lover of good literature and I want my children to love good literature, too. 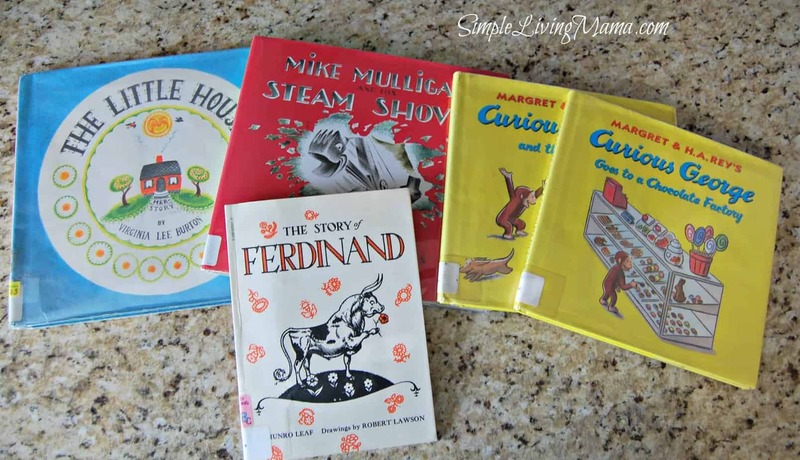 I know we will read other books, but these are the books I definitely want to read aloud to my children! 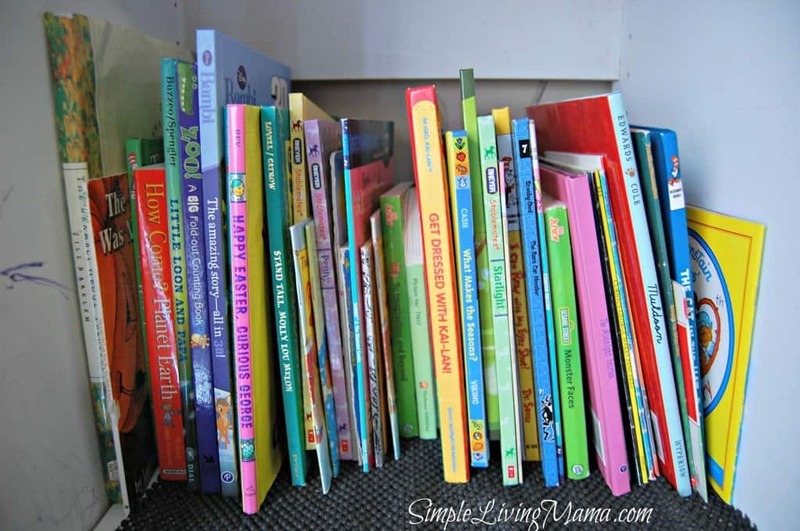 What are some books on your preschooler’s list? Find more Preschool Book Lists! My kids love Curious George! This is a great list. We love books – I can’t even start a list of all the books we read. And weekly trips to the library are a must. I’d love for you to share this with Cozy Book Hop, where we all share posts on books and reading. It’s open all week, so stop by whenever you want. We love our library trips! The Katie Books by James Mayhew, top 2 from him today are Katie and the Dinosaurs and Katie’s Picture Show. Oh, Tristan, I love reading Beatrix Potter to my kids. I have a big book with all of her stories and beautiful illustrations and love reading it with the kids. Thanks for sharing your kids’ favorites! I love book lists, and I think we’ve either read most of these or have them on our list to read also 😀 Such great stories! I’m a sucker for booklists, too! I want to read them all! Love the list with some good old time classics on it! I am a sucker for books for my kids and they have a rather large collection of books already. Thank you for sharing the love of reading. Dr. Seuss is a favorite around as are anything Biscuit (he’s a puppy). I Spy on the Farm is my 3 year olds favorite this month, but any I Spy book will do most weeks. Pete the Cat stories hold her interest too though geared a little older for reading, her sister reads those to her. Most of us love reading. Weekly trips to the library and more books at home than we could read in a reasonable year. We already have some of these. My kids love The Absolutely Awful Alphabet by Mordecai Gershwin, Minnie and Moo, older Little Golden Books, the Velveteen Rabbit, ….there are so many wonderful books for littles. Oh, yes! I love the Velveteen Rabbit, too! My 3 year old granddaughter loves Cloudy with a Chance of Meatballs, If You Give a Mouse a Cookie, and Pete the Cat books.